An EES clinical study was conducted with 117 cancer patients undergoing chemotherapy treatment. Data from the study was compiled and assessed in collaboration with Josephine Ford Cancer Institute/Henry Ford Health System, located in Detroit, Michigan and published in PRIME International Journal of Aesthetic and Anti-Ageing Medicine, a peer-reviewed publication. 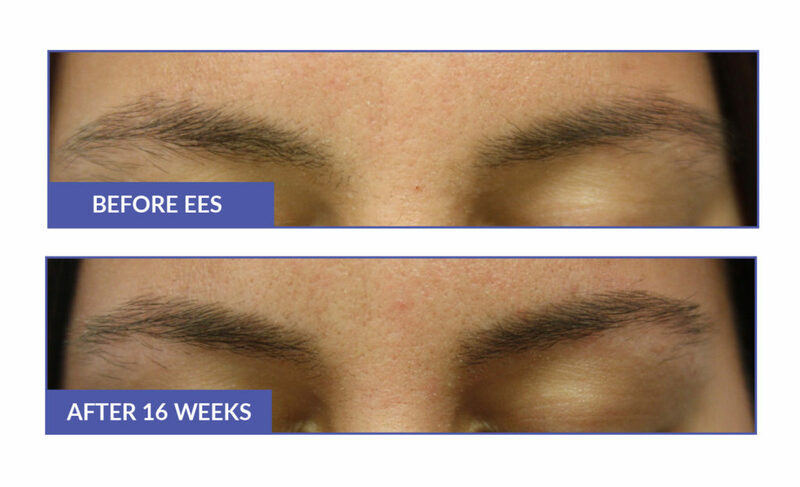 The results demonstrated that 91% of the 117 enrolled participants retained 50-100% of their eyebrow hair, despite experiencing full body hair loss elsewhere. To review testimonials, click here. 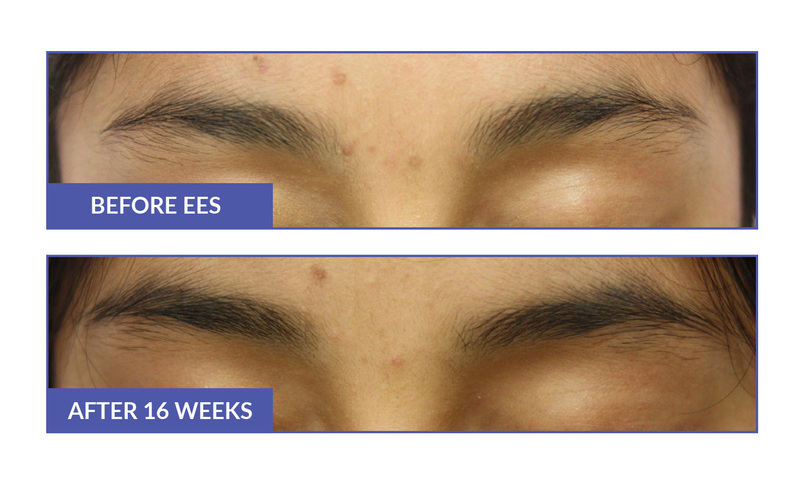 To demonstrate the effectiveness and safety of EES for general beauty/cosmetic consumers, a 16-week clinical study was conducted with 44 participants, who used EES twice daily as directed. 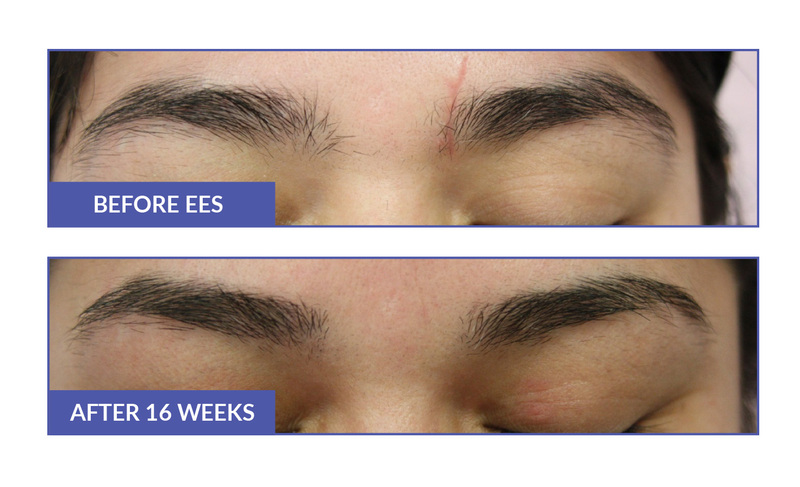 Five different eyebrow attributes were rated: Density, Fullness, Shine/Suppleness, Strength, and Overall Appearance. At the end of the study, greater than 70% of the study participants reported noticeable improvement in every attribute. 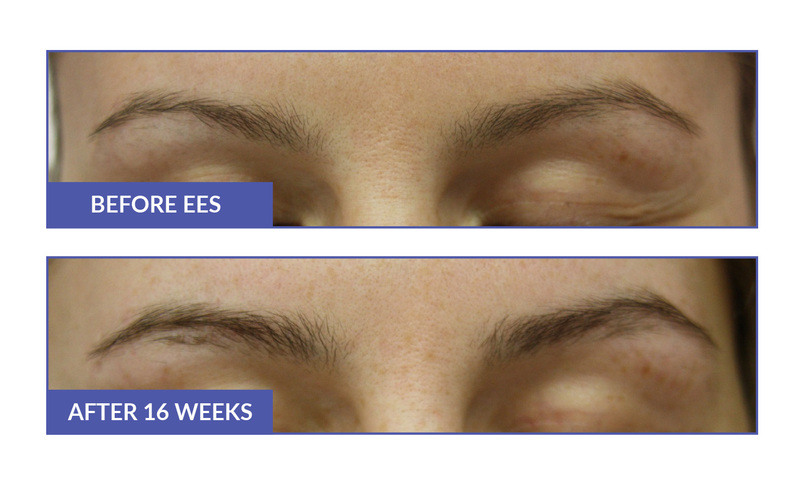 Before and after photos show typical results from participants who used EES for 16 weeks, the average growth cycle of eyebrow hair.